Tedla Abebe was a single human being like myself, only he was bigger because I was a youngster when I met him in Nazareth (now Adama) where I was doing my university service at Gelawdios high school way back in 1968. But when he drove me to Assela (Arsi province then) and showed me his large-scale commercial farm, I could hardly believe my eyes. Mountains of wheat and maize stood majestically before my eyes. I decided there and then that Tedla Abebe was not only bigger than me but larger than life. In retrospect, the idea of an agricultural cornucopia was not conceived in his mind, where we would expect it to he conceived, but in his heart where the idea was only an inchoate ball of passion. It was this nondescript ball of passion that powered the idea in his mind. He himself often admitted that he loved the smell of soil, the smell of mother earth, so to speak. He had a special place, would you believe it, for the odor of livestock, sheep and goats included. 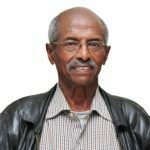 In fact, he switched to raising and keeping milk cows in his estate in Addis Ababa when the Derg government brutally expropriated his farms in 1974. Tedla Abebe’s home in Nazareth (one of several houses in various places including Addis Ababa) was indeed an agricultural cornucopia of which relatives and friends partook without limit. Dinner tables would groan and squeak with all manner of traditional dishes including doro watt, kittfo and raw meat. Beer and whiskey bottles popped and tella (traditional brew) flowed profusely. But frankly I do not remember ever seeing him eating himself. He would, however, frown rather threateningly on any member of his fraternity who was not eating and drinking. Tedla Abebe was toiling not for himself but for everybody else; for his relatives and friends and for all Ethiopians. He often said: ”I can produce enough wheat and maize to feed the entire population of Addis Ababa. He loved and hated his competitors in equal measure. He loved them because they made him work ever harder. He hated them because he didn’t want them to beat him to the lofty target of singlehandedly feeding the entire population of Addis Ababa. 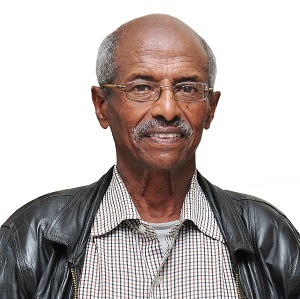 Tedla Abebe, together with his fellow commercial farmers of the day, is deservedly considered to be the trail-blazer of modern commercial farming. He understood and appreciated the advantages and benefits of large-scale farming and applied modern agricultural machinery including combine-harvesters to boost not only farm production but also productivity. He had passion, knowledge and skills to realize his dream of making Ethiopia the bread basket of Africa and more. He might have demonstrated the full measure of his dreams to his beloved compatriots and indeed to the whole of Africa and the world had his hopes not been dashed by the cruel Stalinist sledgehammer of the Derg government. You may wonder how a single human being can produce mountains of wheat and maize to feed millions of people. The dynamo that powers the idea of doing so lies deep in your heart where it slowly wells up as an inchoate ball of passion. The passion itself is driven by the struggle for survival and prosperity. Passion alone, although very important, is not enough unless coupled with knowledge and skills. Tedla Abebe’s rural upbringing steeped him in the ways of traditional peasant farming. But he had to upgrade these rather primitive methods of farming to be able to do what he did. His French connections opened up new avenues of agricultural development for him which he put into practice without delay. The major lessons we can learn from the Tedla Abebe agricultural development model are the following: that the whole enterprise is an individual effort; that for the individual effort to be really productive it must be driven by passion, knowledge and skills; that the government and society at large should appreciate individual effort and should benefit materially from the fruits of such individual initiative and enterprise; and that the government and society at large should put in place an adequate incentive system for private enterprise in terms of not only pecuniary rewards but also by way of respect, prestige and influence. Tedla Abebe’s major challenges were obtaining the right kind of the land for his commercial farming and getting the right prices for his produce. As regards the latter, he once complained thus: “I can’t get a buyer for my maize even at a price of nine birr (three American cents) together with the sack.” Those, of course, were the good old days when agricultural gluts were thought to be the major risks threatening a collapse in farm prices, which was why the Haile Selassie government set up an agricultural price stabilizing institution called Grain Board. Even as Tedla Abebe and his fellow commercial farmers of the day were hitting the ground running with impressive agricultural enterprise, famine paradoxically stalked the country with alarming frequency. As may be well-known, the 1984 great famine in Ethiopia in which tens of thousands of people perished, constituted one of the underlying causes of the downfall of the Derg regime. The one which occurred more than a decade earlier under Haile Selassie (1972/73) was in fact also one of the immediate causes of the Emperor’s demise. As overall agricultural production during the Haile Selassie reign was quite high (soya bean exports had reached record levels), poor grain distribution mechanisms and inadequate government budgeting were blamed for the horrendous consequences of the drought. Drought conditions were also experienced under the TPLF/EPRDF regime but early warning systems, good grain distribution and budgeting mechanisms prevented any major famines. Tedla Abebe’s agricultural development model did work as regards raising farm production and productivity. However, the model had not spread far enough in the country to avoid regional shortages caused by drought. The Derg regime wrongly construed this as a reason for introducing cooperative farming under a socialist-oriented economic structure. State-owned large-scale farms were to supplement and complement cooperative farming to bring about the presumed agricultural revolution. As it turned out, nothing of the sort happened and the general outcome had been one of chronic food shortage. Food shortages continued under the TPLF/EPRDF regime despite considerable assistance to peasant agriculture through widespread agricultural extension services and the establishment of a few private large-scale farms, particularly in and around the Humera regions. Hence, the TPLF/EPRDF government’s Agriculture-led Industrial Development (or ADLI for short) has still not delivered on its lofty promise and is not likely to do so however patiently we may be waiting for it. 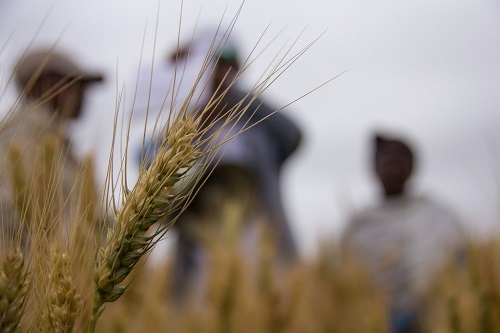 So, the historical past of the Ethiopia’s agricultural development offers little for solace. Admittedly, Tedla Abebe’s agricultural development model might have worked miracles had the emperor effected a full-fledged land reform program and access to land had been made easy to more and more private large-scale farmers coming into the picture following Tedla Abebe’s admirable development template. In the absence of substantial land reform and adequate incentives for private enterprise, agricultural extension service, ADLI, GTP (growth and transformation program), WADU, CADU, PADEP, private large-scale commercial farming, etc. all failed to bring about a genuine agricultural revolution in Ethiopia. The Derg regime experimented with collective and cooperative farming, land being under state control, and failed miserably. The TPLF/EPRDF government’s monopoly ownership of land has resulted in untold economic hardship and distortion. We cannot get agriculture off the ground unless we come up with the right land policy and the right agricultural development strategy. First, let us briefly outline the scope of agricultural development. The major areas include crop cultivation, forest development (tree farms), livestock, sheep and goats, poultry, horticulture, fisheries development, etc. As has been pointed out above, Tedla Abebe’s agricultural development model mainly refers to large scale commercial farming , but the major components of the template – individual effort, passion, government and social incentive for success, etc. – are also applicable to peasant, small- and medium-scale commercial farming. Hence, in the Ethiopian agricultural case, the first order of business would be to economically empower peasants by giving them full property rights on their plots of land. Back up these land ownership rights with several agricultural extension services (including fertilizer, pesticide, specialist agri-advice etc.). In this proactive policy environment, the initial peasant response is likely to be more intensive cultivation of the land plots, thereby increasing production via productivity gains. Not only subsistence production but also the marketable surplus would go up. However, the major threat would continue to be land fragmentation in the wake of persistent population growth (estimated at about 3 percent per year). This problem could be mitigated only by absorbing the excess rural labor through accelerated industrialization. If and when this happens, peasants would sell their land plots and migrate to urban and semi-urban locations in search of industrial employment opportunities. The buyers of those plots would consolidate them to convert them into at least small and medium-scale commercial farms in accordance with the government’s overall land use plan. That is essentially how peasant agriculture gradually gets consolidated and develops into modern commercial farming. On the other hand, open and empty lands are supposed to be administered by a democratically elected government through a nation-wide land use plan. Such government-administered open land should be leased out to worthy prospective commercial farmers at nominal fees. Understandably, basic infrastructure including feeder roads, electricity, water and tele facilities, etc., would have to be provided by the state. Major irrigation dams are also the responsibility of the government. Of course, it would be naive to expect such proactive land and agricultural polices from an unreformed EPRDF government. It is an important precondition that the new Abiy government should press ahead for more and deeper reform in order to realize an agricultural development strategy that would indeed deliver on its longstanding promise of an agricultural cornucopia in Ethiopia. I am lucky to have lived long enough to be a living witness to the amazing agricultural cornucopia that one single human being by the name of Tedla Abebe was singlehandedly able to create to feed not only his family, relatives and friends but also at least a fifth of the population of Addis Ababa, when the Stalinist sledgehammer of the Derg struck and dashed the dream to extend the abundance to the entire Addis population.